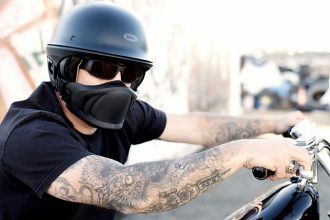 Motorcycling just became a lot more fun – thanks to the Headwave TAG helmet speaker. TAG utilities cutting edge technology to deliver a mind blowing acoustic experience! 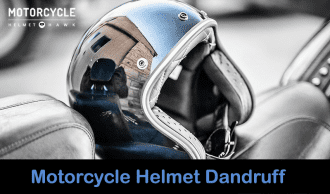 This is not just an ordinary helmet speaker – Headwave TAG has revolutionized motorcycling by transforming any ordinary helmet into a concert hall! There are no separate earphones or anything – the device is super-compact and attaches on to your helmet as one single unit. It streams music from any mobile device and works perfectly under all conditions – be it hail, snow, rain, extreme heat or ridiculously high speeds. The device is styled tastefully and looks uber-cool; you’ll definitely have something to brag about to your motorcycling buddies. However, your smug satisfaction will be short lived, because the minute your friends hear about this amazing new device, they’ll immediately order it for themselves! What makes the Headwave TAG special is that instead of simply acting as a speaker, it focuses on enhancing output quality and delivering a home-theatre like experience – a concept it calls ‘environmental listening’. 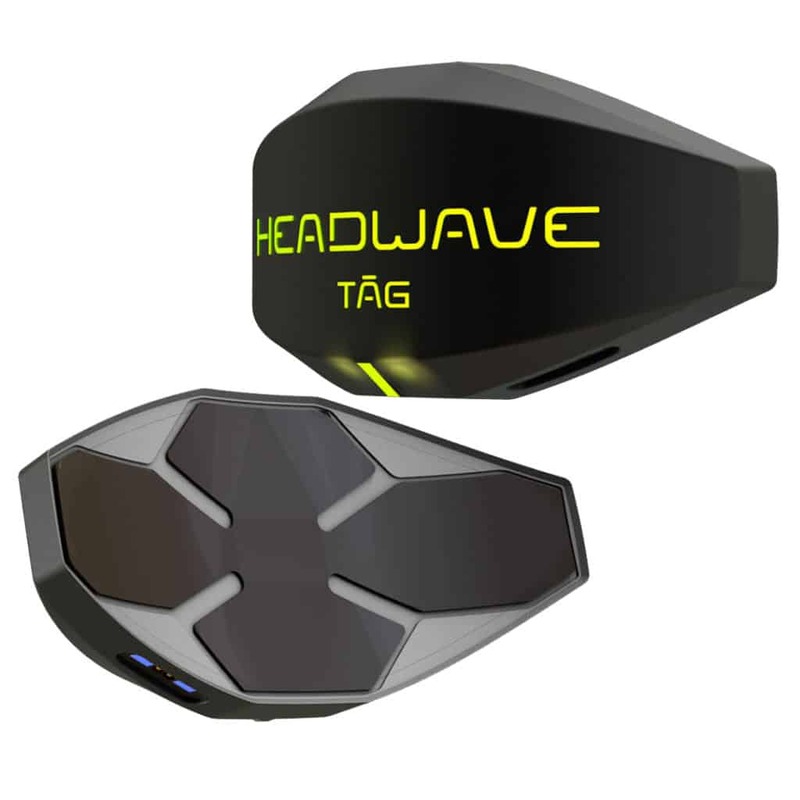 Headwave TAG is the planet’s first ever Concert Capsule. Headwave TAG produces a phenomenal sound with crystal clear clarity and powerful bass. You will literally feel as if you are witnessing a live performance. 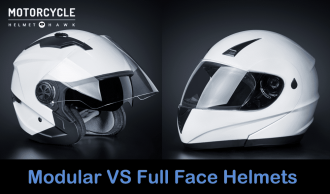 It fits on to any helmet, irrespective of the shape and size. This is possible because the device has an adaptive curvature. 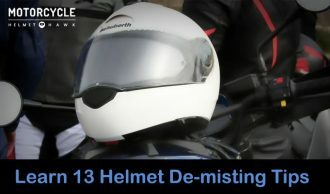 The device gets fitted on the exterior of the helmet (usually at the back) since interior installation causes discomfort to the rider. It can be synced with any phone or device that has Bluetooth connectivity. It is ludicrously easy to install and use. Plus, there are no cables. The device is shock proof and waterproof. Fits to ALL helmets: TAG can be used on any type and size of the helmet. The device is manufactured using Thermoplastic Polyurethane, which is highly durable yet slightly flexible. 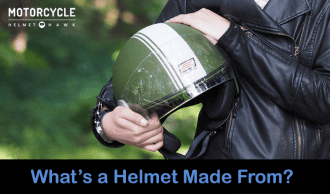 This allows the device to adjust to the curvature of any helmet. 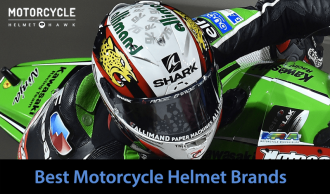 Moreover, the Headwave TAG blends in easily with the style and look of your helmet. If at all, it actually makes the helmet look more sophisticated and cool. Bluetooth Connectivity: The device can be connected to absolutely any device that has Bluetooth. However, if you have one of those mobile phones from several decades earlier, you cannot use Headwave TAG. But then, if you are using a Spartan phone, you probably cannot use or are not interested in the internet. In which case it is highly unlikely that you are reading this. If you are in a new area or neighborhood, you can use TAG to stream verbal navigation signals from your phone. Long Battery Life: The 600 mAh batteries last for about 6 to 8 hours – a day’s worth of riding. If you usually use your bike for commuting, you should be able to go 3 days without recharging. The device is recharged through a USB cable. Compact Size: The device has a very small area – 123mm x 61mm. It extends to just a little over 2 cm from the surface of the helmet. That’s not it – TAG is shock proof too. 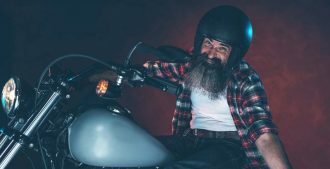 Which means that it can handle whatever abuse your motorcycling adventure can throw at it – bumps, shoves, extreme terrain – this thing just keeps going. Try not to get it crushed under a monster truck though! 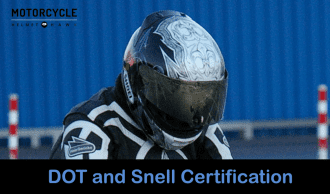 The device is attached to the back of your helmet using a high performance adhesive. Don’t worry; the speakers will not come off – even if exposed to very harsh conditions and speeds of 300 km/hr (approximately 186 mph). The adhesive is the same that is used in cars and trains. 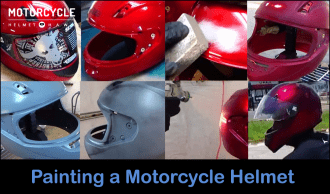 (It is used to stick emblems onto cars) However, if you wish to switch to a different helmet, the device can be easily removed without any tools and it does not leave any scarring or marks on the surface of the helmet. 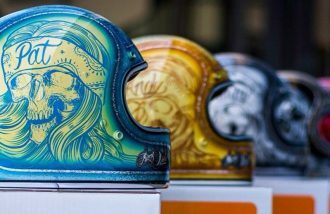 It can then be glued onto your new helmet. Other people cannot hear what you are listening to. They can detect slight vibrations at best. The device has been tested extensively and does not cause headaches or discomfort of any kind. The sound quality is simply phenomenal. Thanks to the environmental listening feature, you don’t just hear the music, you actually feel it! Headwave really delivers on the Concert Capsule idea. It’s like you have a home theater around your head! Imagine listening to ‘Born to be wild’ or ‘Bad to the bone’ with this thing! It’ll make you feel like Arnold Schwarzenegger from Terminator. Just don’t forget that unlike Schwarzenegger, you are not unbreakable! While there are certainly no deal-breakers, here are a couple of limitations of the device. Headwave has consulted the traffic laws of the EU, USA, Australia and Japan and hereby confirms that the device is totally legal in these countries. However, you HAVE to obey the traffic rules of your country. For example: Many countries have laws that state that the volume should be low enough for you to hear traffic signals – especially in the city. It is up to you to use the device responsibly and safely. Playing music at a very high volume can damage your ears. However, this is true for all music devices. According to researchers, listening to music at 60 – 70% volume is totally safe – even for longer periods of time. Plus, this volume range also delivers enough thump to be entertaining. 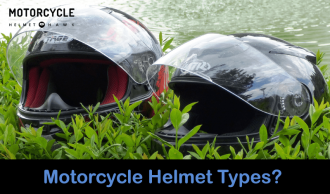 If you have more than one helmet and use all your helmets regularly, then you cannot simply remove the device from one helmet and quickly install it onto the other. Sure, the device can be removed but it is affixed using high performance adhesive – the idea is to keep it glued for a long time. So if you have more than one helmet, you can simply buy more than one device! 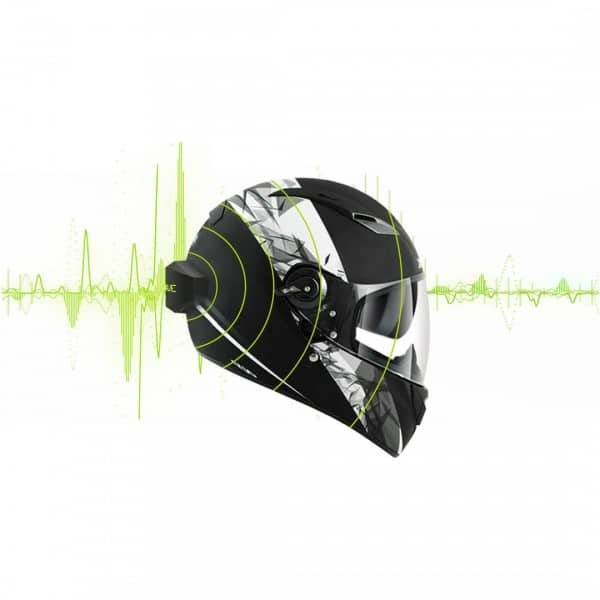 The Headwave TAG is the last word in helmet speaker technology. It is a very high quality product conceived and designed in Berlin, Germany. If you are in the market for a helmet speaker, you should definitely give this product a try. Chances are – you’ll be hooked for life! We really like the Headwave TAG helmet speaker and give it a big thumbs up!